We are in a global crisis. Words can not describe my deep concern for our youth, and their unanswered pain around the world. We are failing our children and must do something massive and immediate to address this issue. today. Not in a week, a month, or a year. Today. As depression is now the leading cause of death in 15-18 year old girls, and 36% of girls in the US are reporting depression prior to graduating high school, there is a significant, immediate need for this program. Get your kids to learn the lessons, and teach others. Depression and anxiety do not discriminate, and suicide is not predictable. Each and every child needs to learn these important lessons, as do adults. While the statistics concern me, the good news is we have solutions to address them. I am currently in London, serving as a delegate for The Economics of, and Investment in, Mental Health. this is the UK’s first ever Global Ministerial Mental Health Summit, with Kate Middleton and Prince William even an appearance. Tomorrow I head off to the World health Organization’s yearly conference in Geneva, Switzerland on Global Mental Health, that I have attended the last 10 or so years to learn about new and innovative approach to mental health, share what we are doing with global leaders, and bring my knowledge into my work at The Mood Factory and iFred. We developed Hopeful Minds based on research Hope is a teachable skill. And as hopelessness is the primary predictor of suicide, and the number one symptom of depression, we decided that by learning all we could about hope we could start to create a powerful state for children. The program is in early stages, adapting, improving, and modifying each and every year based on what we are learning with a world class advisory board. Yet, thanks to Ulster University, we have powerful insights now that it is making a difference to reduce anxiety and improve emotional regulation and confidence in youth. I know I, personally, felt often hopeless as a child and did not know what to do with those feelings. So instead of having tools, I ruminated and cried and hid and escaped through smoking, alcohol, pot, self-harm, and other destructive means. Kids are doing the same today. Yet we know so much more today than we did years ago. Please consider sharing our message, and the curriculum with teaches, churches, youth groups, clubs, after school programs, and even at your home. Help us ensure each and every child learns these tools to help them manage powerful emotions, and reframe them in a way that serves them rather than destroys them. Learn about Hope yourself, and start teaching your children and others how to create, maintain, and sustain a hopeful mindset. The curriculum itself is comprised of 12 lessons, an hour each, and available online which makes it teachable at home, in schools, at churches, in girl or boy scout troops, or in after school programs. The lessons teach the meaning of hope, what supports a hopeful state personally and in the classroom or groups, mindfulness, emotional self-regulation techniques, gratitude, the importance of brain nutrition, the meaning of success as the journey and not the destination, giving hope to others, how to address failure, a technique for ending rumination, and more. It aims to equip students, educators, leaders, and parents with the tools they need to experience and maintain ‘Hope’ at the critical age of 8-10, right before depression rates are seen to increase in youth. Or consider bringing Hopeful Minds to your church, school, after-school program or more, simply visit www.hopefulminds.org as you can review and print directly from your computer. 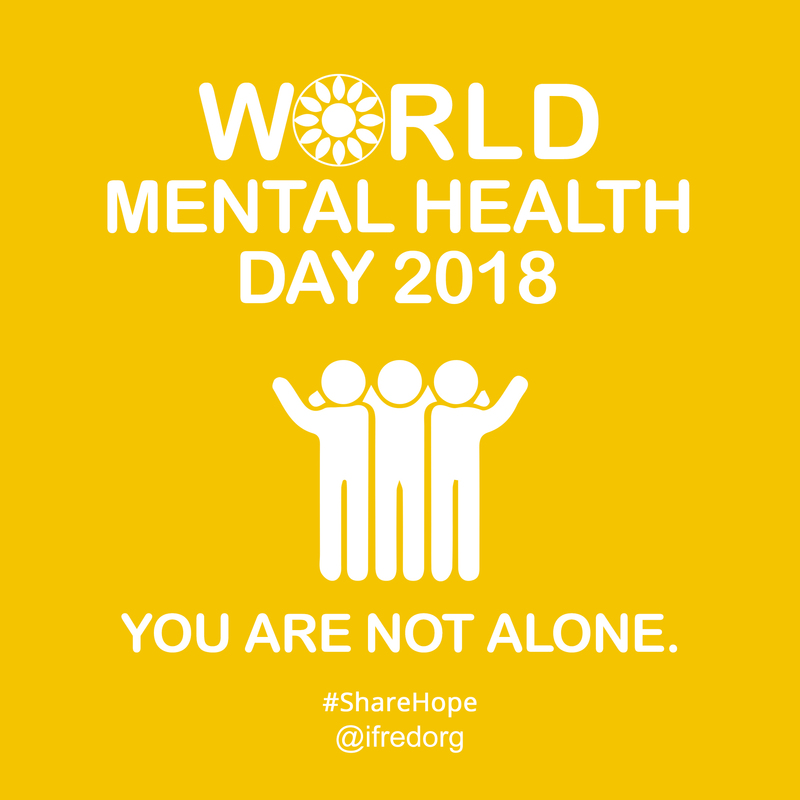 The program is created in a way that it could be self-led and free (with generous support from Sutter Health and The Mood Factory), as we believe Hope is a Human Right and should be accessible to all. If you are interested in getting involved in helping research, raise money, grow, do social media or create an app or work to gamify it, please contact us at hopeful minds at ifred.org. depression advocate. She is the entrepreneur and innovator behind Mood-lites™, a brand that achieved over 35 million dollars in retail sales. As her role as Chief Mood Officer at The Mood Factory, her goal is to ‘Improve Moods’ by teaching consumers how to get in the present moment through engaging the senses. Armed with an MBA in International Marketing, an undergraduate degree in Psychology, over 20 years of experience with small and Fortune 100 companies, and a successful product launch of her own under her belt, she aims to do just that with her new line of product based on how scents impact moods. disease using the sunflower, a focus on hope, the color yellow, celebrity engagement, creating hopeful mindsets, and education on the biology of the brain. (www.hopefulminds.org), based on research that hope is a teachable skill and aimed at reaching 5th graders around the world so they may be equipped to always find HOPE. contributor to the Huffington Post and PsychCentral, and writes regularly for iFred and The Mood Factory and serves on advisory boards for FundaMentalSDG, the Global Mental Health Movement, and is a member of the Founding Steering Committee Member of YMentalHealth, a global coalition for youth mental health nonprofits. Goetzke has a Master of Business Administration degree in International Marketing Management from the University of St. Thomas, and a Bachelor of Arts degree in Psychology, International Studies and Biology from Winona State University. She currently resides in San Francisco, CA, where she enjoys hiking, meeting new people, playing with her nieces, exploring the mountains, skiing, and solving complex global challenges. What’s Your #OneThing for #Hope?